Annandale is located close to the border between England and Scotland, near the port-town of Annan, that lies in Dumfriesshire in the lowlands of Scotland. Founded in 1830 by George Donald, the distillery was designed somewhat like a farm that grew its own barley, with distillation into whisky in mind. Passing through several owner’s hands (including the Johnnie Walker company), it remained active until shortly after World War 1 (it was mothballed in 1919, and finally closed in 1921). The Annandale distillery was then obtained by the Robinson family for farming purposes. However, Annandale has recently been reactivated as a distillery. After a nearly 90 year in hibernation, it was purchased by Annandale Distillery Company Limited in 2007, and throughout 2008, plans were designed for reconstructing the ruins into a working distillery. Great care was taken to preserve the old distillery’s look and feel, to the extent where archaeologists were called in, and historic records were checked to ensure the new look and feel of the distillery would be as authentic to the original as possible. 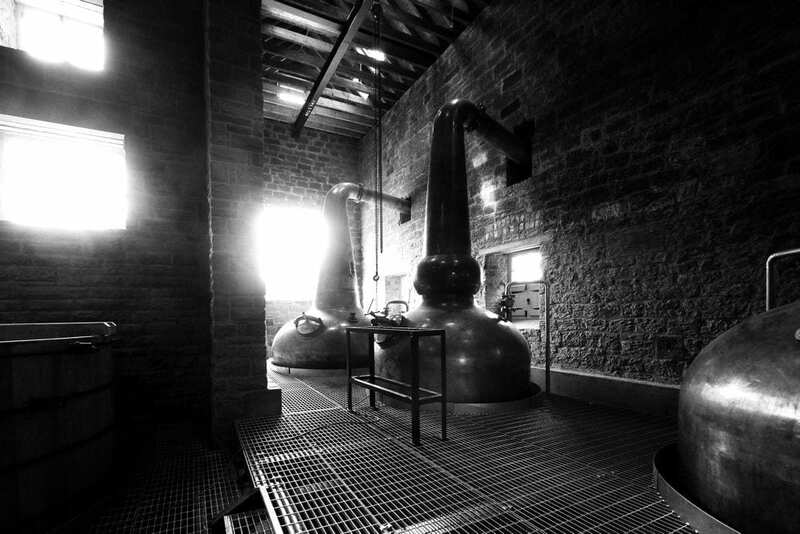 Reconstruction commenced all the way throughout 2013, and the distillery filled its first cask in November 2014. 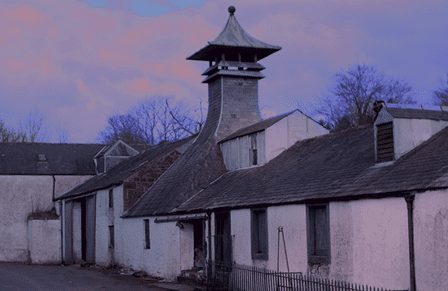 The distillery contains an old pagoda-roofed kiln, such as typically is used in combination with peat, leading the team to conclude that the old Annandale whisky might have been a smoky one; nowadays rare for a Lowland whisky. The new owners want to try and go back to the distillery’s roots, and thus are aiming at creating both a peated and a non-peated expression. The wash stills and spirit still at Annandale. Images: © Annandale Distillery 2014 – all rights reserved.